Has Constantinople Suggested Dual Communion to the Uniates? For the comparatively small Russian Orthodox Autonomous Church, difficult times are continuing. Government officials in union with the official church of the Moscow patriarchate have been oppressing groups of Orthodox Christians over the course of almost twenty years. These are “catacomb” Christians and those who, for doctrinal reasons, have left ROC-MP. For catacomb Christians, such pressure is not surprising, since in USSR they existed secretly, assembling for worship in private homes and cemeteries. That taste of freedom that Gorbachev’s perestroika brought to them permitted them to some degree to be legalized, originally under the omophorion of ROCOR and subsequently under their own hierarchy of the Russian Orthodox Free Church—free from communist agents in cassocks, from informants, traitors, lies, and betrayal of dogmas of the faith at ecumenical conferences. By divine miracle and the efforts of Valentin, the Bishop of Suzdal, catacomb Christians managed to obtain several historic church buildings in Suzdal and Suzdal region, half-ruined and desecrated churches of the pre-Revolutionary Greek Russian church, whose faith and tradition the catacomb Christians continued to preserve. Now these church buildings are being taken away from the believers. How much faith, effort, love for God, for Russia, for the Truth, for the sacred was expended by the catacomb Christians in purifying and restoring these churches! Like a traveler dying from thirst, finding a spring in the desert, cannot have too much to drink, so these believers who for long years were deprived of open church worship could not be too overjoyed at the return to them by their persecutors of these churches. Life began to stir and worship and evangelical preaching to people who had been crippled by atheist was begun. The Suzdal catacomb Christians began to restore lost Suzdalian traditions, the memory of which had been passed down from fathers to children, from nuns of the closed Suzdal convents and from simple parishioners. Believers, priests, and bishops of the ROCOR arrived in Suzdal in order to breathe the invigorating air of the motherland, of non-Soviet ecclesiastical Russia, and to fellowship with those who passed through the soviet Hell and survived, maintaining their faith in pure form. It was these people, bishops of “the tsarist” church, the church of Patriarch Tikhon and the new martyrs of Russia that weary Rus awaited. Then believing Russia heard a great deal of truth, both about the crimes of the communists and about the hierarchs of the Moscow patriarchate who collaborated with them. The catacomb Christians and the Christians of the church abroad brought to the people faith without politics, faith without corruption, faith washed by the blood of new martyrs, calling for repentance and giving new hope. It was from this source, from catacomb and foreign Russia, that arose the voice about the necessity of canonizing the slain tsarist family and the new martyrs and the call for condemnation of communism and evil in society and the church. The change in society began with the change in ideas and a recognition of untruths and condemnation of lies. However the healthy growths of new, free Russia soon were notices by those for whom their own interests are more important that God’s truth. Starting at the beginning of the 90s, officials of the Moscow patriarchate closely followed the Free Church in Russia, relying on ROCOR. They soon managed to subdue ROCOR, but the small Free Church, which was reregistered in 1998 under the name Russian Orthodox Autonomous Church (ROAC), despite all the slimy campaign of slanders against it, was not about to surrender and has not surrendered. More than that. In 2008 there occurred an event significant for the church: the Bishops’ Council of ROAC clearly recognized the official church of MP as an uncanonical schism and a heretical pseudochurch organization that had apostasized from the truth of God and placed earthly, worldly interests at the head of the corner. This was the last drop overflowing the cup of patience. 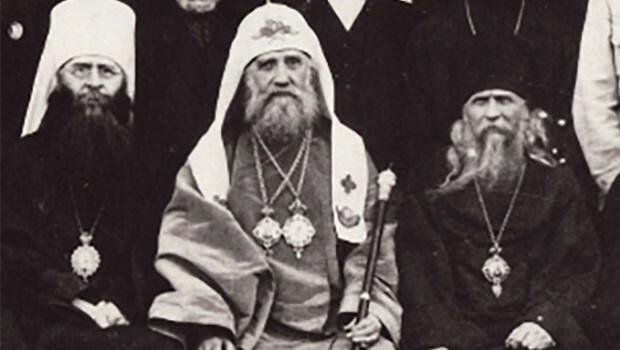 To deprive ROAC of its churches and to drive believers back into the catacombs and expunge them from society so that nobody, neither suffering clergy nor people have true faith, could hear of or learn of the existence in Russia of any other Orthodox church with a different life—this was the goal that leaders of MP and their highly placed friends in authority set for themselves. All Orthodox Christians who do not want to submit to MP are enemies of the state. It is necessary to take away from them the right to freedom of faith, the right to public confession and preaching, and to declare them sectarians. In truth, soviet times have returned: one ruling party, one ideological department, only now it is not under the leadership of comrade Suslov but under the leadership of Alexis Ridiger, one soviet church, and there are no sects and no ideological diversions against the “only true” state church. All of this is completely maintained within the parameters of the campaign beginning in Russia for “restitution,” that is, for the return to ROC-MP of pre-Revolutionary church property, usually immovable property, the MP has been trying for so long and hard. For this attorneys for the MP have worked out, and the government of RF has confirmed at the end of 2007 a plan for a law “On transfer to religious organizations of property of religious significance now owned by the state or municipalities.” The designers of the plan do not conceal the chief goal of such a draft law: MP alone must own all historic Orthodox houses of worship and no other religious Orthodox organization (with the exception of Old Believers) has a right to this. For this there is included in the plan a special point, the ninth, which declares that state organs will be forbidden to transfer ownership of churches “to nontraditional religious organizations and sects illegally possessing them (for example, the Russian Autonomous Orthodox Church),” as was specified by the chief attorney of MP, Kseniia Chernega. 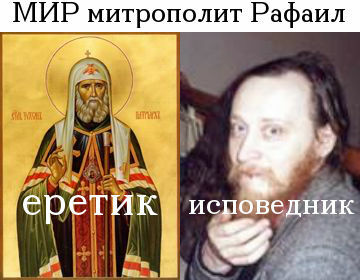 In other words, Chernega confirmed the idea that in modern Russia Orthodox believers can be in the Moscow patriarchate only and all the rest are “sectarians.” It is not that the state simply may but it must transfer to MP all property of the prerevolutionary Russian church. On 9 April at a meeting with the head of “Rosimushestvo,” Valery Nazarov, Patriarch of Moscow and all-Rus Alexis II declared that the church understands that “restitution is a complex process” and thus he does not intend to raise a question about it. “At the same time, we greet those steps by ‘Rosimushestvo’ that facilitate the return of church and worship beuildings in those cases where it is possible and necessary,” the patriarch specified. But to whom does the hierarch propose “to return” the valuable immoveable property—to believers or to someone else? It is known that according to the bylaws of the MP no single parish is the owners of a church building or immoveable or moveable property. It belongsto the council of founders of a religious organization of the Moscow patriarchate, a narrow group of influential hierarchs who are members of the synod. Actually it is to it, to this group, that all property transferred by the state to parishes of believers belongs. It is through this religious corporation that the MP maintains its power. If a some time a parish wants to depart from the MP, then it does not have the right to take any of the church property with it; it all remains with the MP. Thus the MP suggests that the state transfer immoveable property not to believing citizens, to whom it belongs by rights, but to the synodal founders of the MP, who are actually religious oligarchs. Everybody remembers how the MP kicked out of their local museum buildings the “Ipatiev Monastery” and “Riazan Kremlin.” On Valaam the humble monks expelled local residents from their homes. In Moscow the Presentation moastery expelled a French children’s school and began to seize a building from the All-Russian Musical Society for children. But how will the monks, who have taken a vow of poverty, feel within these walls drenched by tears? Indeed this is spirituality stood on its head, spirituality in reverse. From the Martha and Mary convent the patriarchate expelled a children’s orphanage and actually suppressed the monastic life that was beginning to revive thee; it threw into the street a drugstore and hospital with the goal of turning the convent into a five-star hotel under the guise of a patriarchate extension. At the center of Moscow the patriarchate tried to deprive the local Russian State Humanities University of its premises, again for creating a patriarchate extension. Soon it became Suzdal’s turn. From 2006 a commission sent from Moscow to investigate the condition of church buildings transferred to ROAC and their documentation. The results of the first commission on 17 May did not satisfy their “masters,” and on 18 November a new commission was sent with the goal of “confirming” and finding some loophole. As a result, at the end of 2007 Rosimushestvo, acting for the state, filed suit in court with the goal of removing from the Suzdal diocese of ROAC the churches that had been transferred to it, supposedly “because of illegal possession. Attorneys representing “the interests of the state” absolutely had no interest in churchs in Suzdal transferred by the state to the Vladimir diocese of ROC-MP, such as the Nativity of Christ, St. Nicholas, Entry into Jerusalem, St. Paraskeva-Piatnitsa, and Peter-Paul churches, which are standing empty, with no windows and damaged walls and roofs. They had absolutely no interest in where believers, from whom the churches restored by them would be taken, will worship and where the clergy will serve. The question arises: in whose interests are the workers of Rosimushestvo acting? It is clearly not in the interests of the Russian state. The ROAC churches are in good shape and they are being used for the purpose specified in the agreements with the Suzdal diocese. So, whose interests? The answer is obvious—only the Moscow patriarchate’s. It alone needs to dispel the hated competition and liquidate the “schism” and acquire the vacated and restored churches of ROAC. One can say definitely: these robberies will be of no use to the state. 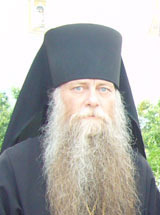 On the contrary, in strengthening the Moscow patriarchate, the bureaucrats will facilitate, not the increase, but the gradual decline of the authority of the church within Russian society and will undermine confidence in the church and its hierarchs, for whom, as is evident to the Russian citizen, the main role is being played not by faith but by money and power. Ancient Christians gave the latter to nonbelievers and were ready to serve as their slaves in order for the mighty power of faith to turn the heards of people to Christ and help them to realize the Kingdom of Christ, which is not of this world. Today’s hierarchs of “official Orthodoxy” obliterate the latter under the guise of helping the needy church but in reality are concerned with extracting as much a possible of great income from the property received by them from the state. In the future one can completely expect that the MP will formally become a “state church” and a tax on citizens for church needs will be installed as has been the case in several European countries.